When you make a purchase at HansaDiamonds.com, you will have the option to create an account. By creating an account, the system will remember your personal and purchase information. This results in a more express checkout process for future purchases that will be fast, easy, and always completely secure. Creating an account will enable you to access specific information such as your order history and enable you to update past purchase addresses and information. At all times, your personal information is accessible for you to review, edit, or update as necessary by clicking on the "My Account" link. This information is the property of HansaDiamonds.com and we do not sell or share any information with third parties unless otherwise specifically indicated. HansaDiamonds.com collects information from its customers. Customer information is collected to provide HansaDiamonds.com customers unique content or to help our customers experience the easiest and quickest checkout process we can provide. HansaDiamonds.com does not collect personal information from visitors except by specific request. If you are just browsing, we do not seek any personal information about you. HansaDiamonds.com is committed to protecting the privacy of your personal information. State-of-the-art technology protects your data from unauthorized third parties. HansaDiamonds.com uses Secure Socket Layer (SSL) software to protect your data and secure your transactions. SSL encrypts all your personal information, including your credit card number, name and address during transactions. This provides a safe, secure shopping environment. Only parties responsible for processing your order have access to your credit card and bank information. In addition, HansaDiamonds.com ensures added security by providing increased encryption on all our servers to prevent data mining and server attacks. When customers enter HansaDiamonds.com's site we track their IP address. This data is collected to build site demographics, track user movement, and administer the site. This is not tied to your personal information. All information related to placing an order, such as your billing address, shipping address, credit card information, and email address is used to only process your order. We do not share this information with outside parties. Aggregate information is occasionally shared with the partners of HansaDiamonds.com to plan advertising or promotions. We only share with our partners non-personal, aggregate statistical information regarding customers, sales, traffic patterns, and site usage. HansaDiamonds.com does not share any personally identifiable information. HansaDiamonds.com automatically sends many different types of e-mails to its clients related to the purchases customers make or specific information requested by our customers. All standardized emails related to order status and information requests will arrive via the HansaDiamonds.com domain and no other. 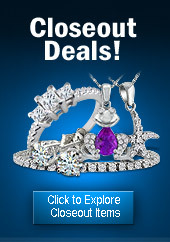 When you place an order with HansaDiamonds.com, you are automatically signed up on our email list. You may at any time request removal or remove yourself automatically by using the contact us page or simply unsubscribe via the unsubscribe link at the bottom of every promotional newsletter. Our visitors may sign up for our promotions and discounts via the subscribe box on our home page. Our promotions contain special product offerings and industry news on the latest trends. We do not make our mailing list available to other companies. Customers may opt out of our emails at any time. HansaDiamonds.com runs surveys and/or sweepstakes to better understand our customers. Anyone may participate in these surveys or sweepstakes as designated in the rules and regulations of that sweepstakes or survey. Any information requested can include such contact information as a name and email address. Any information gathered by these means is solely designed to improve the HansaDiamonds.com site and customer experience and is not sold or give to any third party.